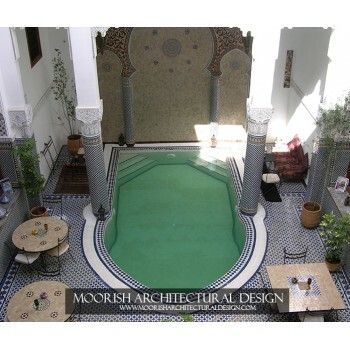 Moorish Architectural Design is the leading supplier in the USA of quality handcrafted Moroccan tiles. 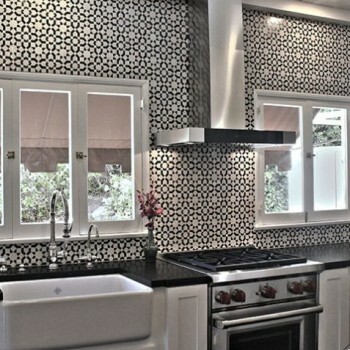 We are Zellige tile specialist in San Francisco, California. We carry a huge selection of Zellige tile patterns & colors suitable for Kitchen floors, backspalsh, bathroom floors, shower walls, swimming pool waterline, porch & pool deck floors. 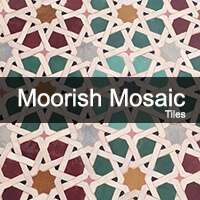 Zillij mosaic tile also known as Zellidj, Zillij, Zellij, zellige is an important element Moorish and Moroccan architecture and decorating. The word tile is derived from the French word tuile, which is, in turn, derived from the Latin word tegula, meaning a roof tile composed of baked clay. The process of production begins by mixing clay and water and kneeling them by hands and feet until they reach a high level of flexibility and homogeneity. Then, the mixture is cut into squares of 1 cm thickness each. The squares get dried up under the sun before they are put in a special oven for their first phase baking. The tiles are placed in different levels according to the degree of temperature required to attain a particular color. The white tile is often placed in the bottom followed by the blue, yellow, and the green on the top. The second phase starts when we remove the tiles from the oven and separate them by their colors; once we are done with this process, we start drawing the patterns of the intended design directly on tiles; this is done by ‘rasham’ followed by the cutting process which is performed by ‘naqqash’ who carefully separate the drawn pattern by a sharpened hammer. Last but not least, ‘khallas’ or finisher finishes the work by cutting the tiles’ edges assuring that they meet all requirements for production. With the help of our design team, the zillij master draws the design layout on the ground and places each furmah or piece of tile in its exact place in the overall pattern. Interestingly enough, the placement of tiles is done upside down, which makes it even more difficult to absorb. Zillij usually used to cover walls, floors and columns of kitchens, bathrooms, fireplace, patio, courtyard, fountain,living and dining rooms and many other spaces. These spaces do not only include residences, but also restaurants, hotels, resorts, spas, swimming pool, theatres, golf country clubs, and many other commercial projects. 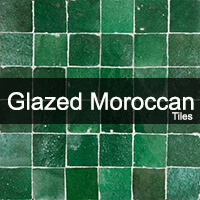 Zillij tiles takes different motifs (geometric, floral and chiseled) in a organic and traditionaly glazed colors. 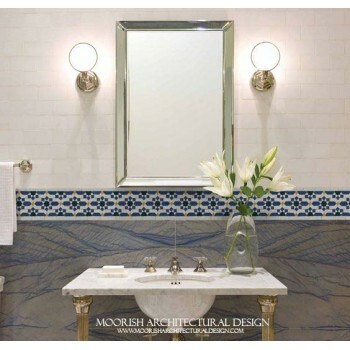 Each motif and color remains a symbol and has a special significance in the iconography of the Islamic/Moorish art. 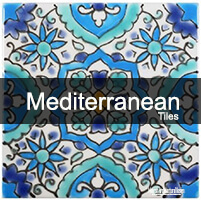 Zillij mosaic tiles goes well with either traditional mediteranean style or even modern contemporary style depending on the combination of colors and pattern that can be made in endless possibilities. Apart from the floors and walls, zillij can be used to produce beautiful tables and fountains with a wide variety of motifs and colors. The fountains can either be central or part of a wall. It is usually placed on the wall opposite the main entrance, immediately facing the visitor, as the focus of the zillij decoration. The fountain is a very important element of the Moorish house because water is an epitome of life in the ancient Moorish culture for so many centuries in Al Hambra, Spain. In hot weather, the water from courtyard pools and fountains cools down the surroundings and the running water works as relaxing and appealing visual elements. Water does not only reflect architecture and multiply decorative themes, but it can also serve as a means of emphasizing the visual axes.